The accordion never threatened the dominant place of the saxophone, trumpet or piano in jazz combos, but virtuoso Art Van Damme (1920-2010) was the instrument’s leading exponent. In the 1960s and 1970s, he created a unique group sound in combining his stunning technique on the accordion with vibraphone, guitar, bass and drums. That sound, including three vocals by Montreal’s John Labelle, is what producer Peter Maxymych is re-creating in this spirited and fluid rendition of a dozen standards. A combination of American and Montreal-based musicians, with arrangements by vibraphonist Steve Hobbs, balance beautifully and combine seamlessly. Van Damme’s place is filled with passion and skill by accordionist Kenny Kotwitz, Van Damme’s close friend. Veteran guitarist Greg Clayton leads the Montreal instrumental contingent with his innate jazz sensibility, strong dynamics and fluid extension of melody and harmony, while drummer Dave Laing and bassist Alec Walkington accent the music unobtrusively. Straight-ahead jazz doesn’t get played any better! 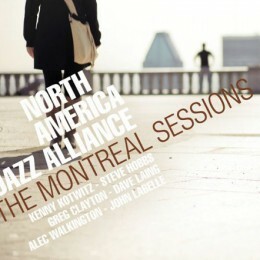 Be the first to comment on "Music review: North American Jazz Alliance; The Montreal Sessions"